I know I’ve only recently done a skincare related post but to be honest, skincare is my weakness and I probably enjoy it more than makeup. I was kindly sent some products by Green People to test out and I’ve been soo impressed with them. This is their Organic Young collection, which is aimed at teenage/young adult skin which suits me perfectly. 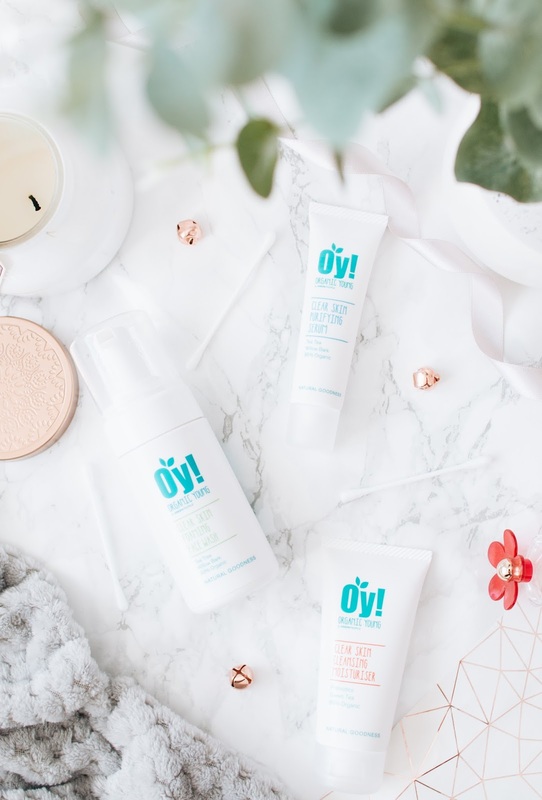 So the three products I’ve been testing are the OY! Clear Skin Foaming Face Wash*, the OY! Clear Skin Purifying Serum* and the OY! Clear Skin Cleansing Moisturiser*. So first things first, cleanser. I haven’t used a foaming cleanser in what seems like years now so I couldn’t remember what to expect. As its a foam formula, it feels very lightweight when applied to the skin and feels very gentle when massaged in. It has quite a strong tea tree scent which I personally like a lot. Every time I use this my skin feels squeaky clean afterwards and honestly, I think this with a combination of the other two products, is what has kept my skin clear. After I’ve popped a bit of toner on, I then go in with the purifying serum*. This has what I can only describe as a jelly like consistency. You don’t need much of this, about a pea sized and you’re good to go. This feels very soothing and sinks in quickly, which is always a plus with serum. I feel like it’s the perfect serum for the summer months because it feels so cooling. The last thing in the trio is the cleansing moisturiser*. I’ve been on the hunt for a new moisturiser for ages now and I think I’ve finally found a holy grail. This is a lightweight moisturiser and it smells incredible, I think that’s to do with the mandarin extract. Similarly to the serum, this sinks into the skin quickly and feels very refreshing. In all honesty, I think I have this trio to thank for my skin being so well behaved recently. I have a combination skin type with quite an oily t-zone and using all of these has really helped to control the excess oil I experience. I’m definitely going to continue using all three of these in my skincare routine and hope my skin stays well behaved!